Many students and professionals interested in helping others are encouraged to pursue careers in traditional specialty areas, such as psychology, social work, medicine, and education. Within these professions, courses and training often focus on strategies to help individuals, family units, and small groups address a variety of life challenges through treatment, case management, and classroom activities; in this way, we learn to respond more too already-existing problems and less on promoting health and resilience. But, within these career paths as well as other helping professions lie undiscovered opportunities for us to make a significant difference in supporting the health of larger communities, whether they be college campuses, cities, states, and our nation, through the science and practice of prevention. Studies show that expanding preventive services reduces the costs of substance abuse and mental health care by addressing problems early, before costly treatment is necessary. Prevention also addresses issues of health, educational, and social inequities across race, gender, disability, socioeconomic class, and other diversity areas. Environmental prevention strategies, such as consultation to improve community–family–school coordination or interventions to help communities create health promotion programs, can inform and even be instrumental in changing social policy, which may ultimately minimize or eliminate factors contributing to unhealthy communities. The prevention workforce today consists of representation from a number of specialties, including public health, community health, health education, social work, psychology, and medicine; undergraduate peer educators may also have opportunities to enter some types of community prevention jobs immediately after college, as their training as student leaders in the area of health promotion prepares them well to work with communities. Engage with your career services center in exploring options that focus on both individual and community-level prevention. Let the staff member know what specific area of prevention and community population you are interested in working with, and ask the staff member to locate opportunities for you that match your interests. Explore graduate training that highlights prevention science and practice. As part of your search for graduate training, find out how programs you are considering address prevention in their courses and field-based training offerings. Look for internships and fellowships that include prevention work in communities. A number of professional organizations and federal and state agencies, such as the Center for Substance Abuse Prevention, Substance Abuse and mental Health Services Administration, offer internships and fellowships in prevention work, some with course credit, salaries, or stipends. Join task forces or coalitions on your campus and in your community. Find a prevention or social justice issue that you are passionate about, and get involved with groups that are addressing it. Pay it forward. Consider mentoring an elementary or high school’s student in service activities that support communities – you will be helping a young person get excited about prevention and will feel good about your contributions. And, most importantly, be confident in yourself. Doing prevention work in communities may feel intimidating and even frightening at times, but rest assured that your work does not need to be perfect. We all learn through experience, and there are many prevention professionals and organizations out there that are eager to support you in your journey. So keep calm, and may the force of prevention be with you! 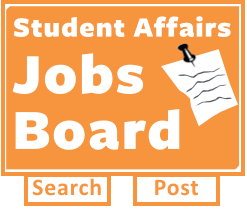 For further information about jobs, internships, and fellowships in prevention, please go to the Center for Substance Abuse Prevention, Substance Abuse and Mental Health Services Administration jobs page. You can also check for job and training opportunities within your state or local Department of Health and agencies addressing substance abuse. Dr. M. Dolores Cimini is a New York State licensed psychologist and Director for Behavioral Health and Applied research at the University at Albany and was formerly the Director of the nationally-recognized Middle Earth Peer Assistance Program. She has led comprehensive efforts in research-to-practice translation at the University at Albany for the past twenty-five years with over $8 million in support from the National Institute on Alcohol Abuse and Alcoholism (NIAAA), National Institute on Drug Abuse (NIDA), Substance Abuse and Mental Health Services Administration (SAMHSA), U.S. Department of Education, and U.S. Department of Justice. Dr. Cimini is the Past Chair of the American Psychological Association’s Board for the Advancement of Psychology in the Public Interest (BAPPI). She serves as Consulting Editor of the Journal of American College Health and has published book chapters and professional articles in both national and international refereed journals. In 2012, she was recognized by President Barack Obama and the White House as a Champion of Change.